Do you have a “spiritual connection” to all facets of serving God? Those who enter into a personal relationship with God through faith in Christ come into this spiritual connection with all the affects thereof. Not only does man share in the death, burial, and resurrection of Jesus Christ but he also shares in suffering and persecution. Many false teachers and preachers in this world would like you to believe that following their ministry in a relationship with Christ brings about little or no suffering, worries, and happiness abounds. All you need to do is attend their church, fill their coffers, and your life will be one of continual fun, festivity, and fanfare without a worry or concern in sight as you serve other people. Often there is little or no mention of serving God, the problem of sin, sharing in suffering for doing right, facing trials and tribulation, proving through fire, or the wages of sin or the mercy and grace of God. Church is often about man and little or nothing to do with the biblical things of God. The Bible, on the other hand, gives us a different illustration of following Christ. 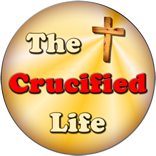 It is to whole-heartedly follow Him living for Him and unto Him. It is a life dedicated to serving Him by serving others tuning your heart and attention towards Him and His will for your life. 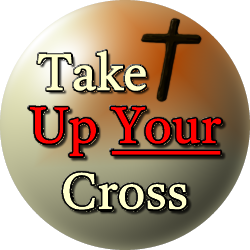 Living for Christ is setting down your desires, goals, dreams, and self-will picking up His cross and carrying it forth; whether it is festive or fear provoking circumstance as you sojourn upon this earth.